Ravellenic Games – baby hat crosses the finish line! Road trips are awesome for getting knitting projects started and in my case, completed! 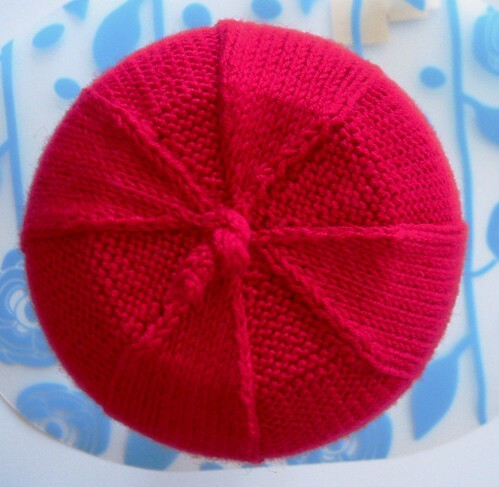 I cast on last Friday at 1pm for my baby hat project that I mentioned in my last blog posting. I knit and knit and knit on this hat while in the car on the way down the Oregon Coast highway. I managed to finish it by 2pm on Monday, July 30, 2012 somewhere near Lincoln City while still in the car. I had to wait to come home to weave in the ends and block it, however, as I forgot to bring a crochet hook or darning needle with me. As I managed to finish up the baby hat, I then got to work on the lacy sock project. I’ve managed to knit 5.25″ of one sock so far, and had to buy more DPNs today so that I could start sock #2, thereby avoiding the dreaded SSS (or Second Sock Syndrome) that so many Ravlethes and knitters fall prey too. 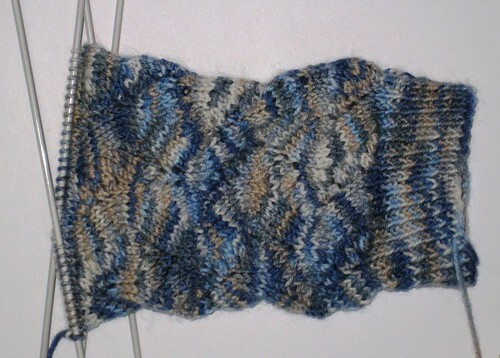 I know that I said I was going to knit these socks on long circular needles, but given my time frame (i.e. panic), I figured I would play it safe and do what I know. I’m going to get on with casting on for the second sock tomorrow while I’m enjoying the Dyke March festival as part of the Vancouver Pride celebrations here in my city. 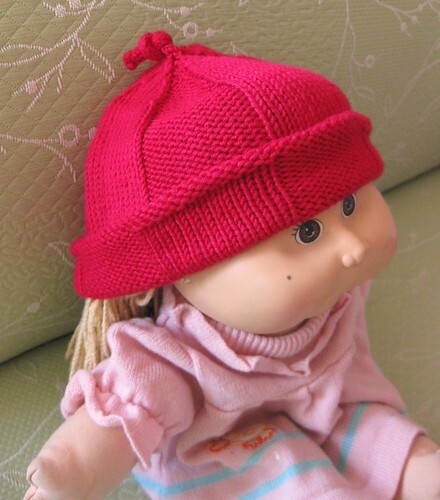 You are currently reading Ravellenic Games – baby hat crosses the finish line! at When Gaia Smiles.